PRODUCT DESCRIPTION: Undetectable Technology. Undeniable Results. 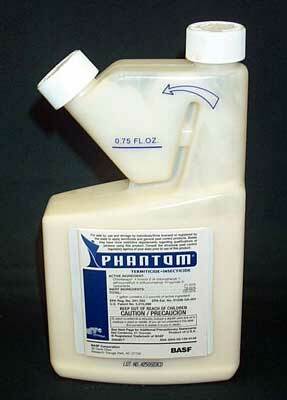 Phantom® termiticide-insecticide is undetectable to pests. Undetectable active ingredients like the one used in Phantom are one of the most effective advances in the history of professional pest control. In fact, many pest professionals have found that Phantom controls especially difficult ant species when most other ant control products can't. Phantom is even approved for use in food handling area establishments, a distinction many other liquid undetectable pest control products cannot claim. 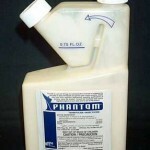 All told, Phantom offers one of the most powerful general pest solutions available today. RATE OF APPLICATION: Varies depending on target pest. For termites, .75 to 1.5 ounces per gallon of water. For perimeter pests like roaches and ants, 3 oz per gallon of water. Great product! This product actually works! Highly recommend! It may cost more than some advertized products on the market, but this really works.